-If you were looking for a good high-scoring game, this wasn't the one. Both teams had their struggles on the offensive end. -Regardless, it was a good win for Miami, now with a .500 record. -After struggling through three quarters, Dion Waiters came through with 12 points in the final five minutes of the game. No matter how he's playing, Dion lives for these moments. -The defense was great for the HEAT tonight. Especially in the second half when the Heat were more physical. Miami's defense held the Jazz to only 4 2nd half field goals, a Miami franchise record for any half. Jazz finished with 25 second half points. -Justise Winslow started at the power forward position for the second straight game. This time he was matched up against the taller and bigger Derrick Favors. Despite the low scoring night, Winslow held his own defensively against Favors. -Whiteside didn't have a great first half. But, he did better in the second half and competed on the defensive end. He played great team defense and grabbed rebounds. 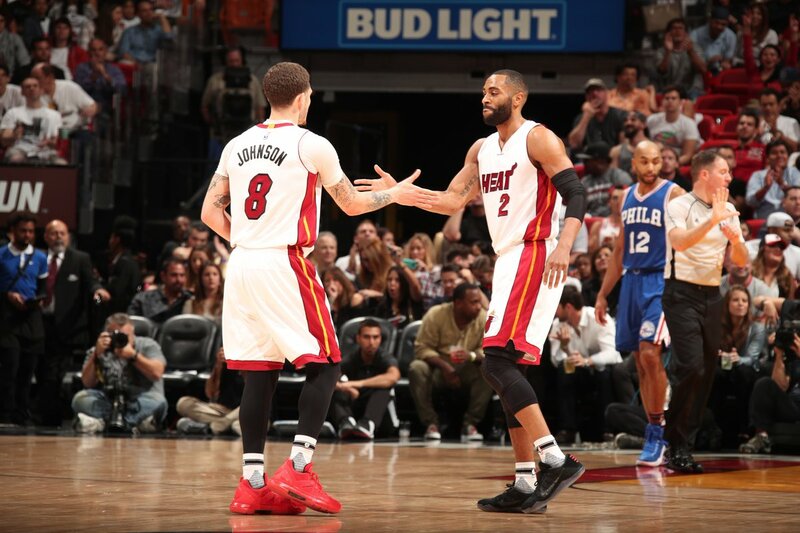 -Tyler Johnson was back from missing Wednesday's game with illness. He scored 11 points off the bench tonight. Also had 2 blocks. -Up Next: The Heat will travel to Detriot to face Andre Drummond and the surging Detroit Pistons on Sunday. It will be Miami's final game of the six game road trip.